Request Your FREE Quote by filling in your details below and we will get back to you asap! We are a local run professional Carpet, Upholstery and sofa cleaners company. Operating in Stoke on Trent, Newcastle-under-Lyme and rest of Staffordshire serving both domestic & commercial. 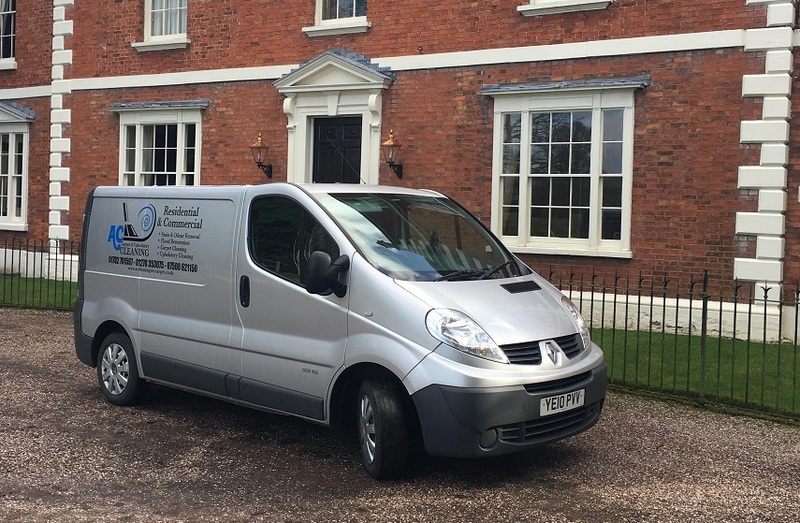 We specialize in providing a friendly service achieving excellent results using years of industry knowledge & training that have been acquired from working with some of the best Cleaner technicians in the country. We pride ourselves in looking after our customers because you are all that matters and making sure we go the extra mile to do a highly professional job and we boast a excellent second to none aftercare making us one the leading company in the local area. We also offer leather restoration & repairs plus flood restoration & flood damage work. That can be anything from sofas & chairs cleaning, mattresses, mats & rugs, curtains, car seats & more. 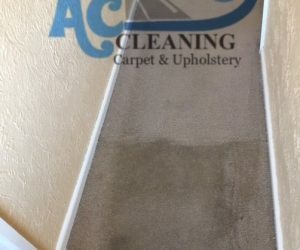 I’ve been in the carpet and upholstery industry for several years now and attended multiple training courses and advanced courses to keep my knowledge up to date with the latest techniques in mastering peak cleaning performances. In that time i have heavily invested in machinery and equipment so all my customers can receive the full benefits of our services! Not available weekdays? Not a problem we can come on a weekend to suit your busy schedule. Be safe in the knowledge that your home and furnishings are in good hands with our insured & trained technicians. We use the best and safest products & equipment available on the market with the added bonus of drying equipment. 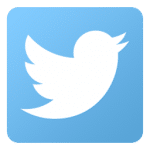 Reasons why you may need a clean? There could be a number of different reasons why you will need carpets or soft furnishings cleaned, obvious reasons will be because of dirt, odour and spillages or you just feel it’s time for a freshener. But it is also important to consider the hygienic benefits of having clean carpets & furnishings, especially say if you’re introducing a newborn baby into the family home, babies will be more susceptible to bacteria and viruses that can be breeding. 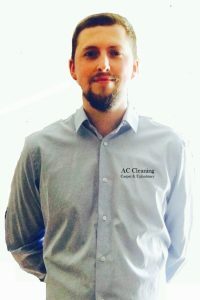 So this would be an important detail to us here at AC Cleaning because after we thoroughly clean for you we would also methodically sanitize the area’s with an antibacterial product that will be child and pet safe, thus ensuring a lovely clean home. How often should your carpet’s & upholstery be cleaned? 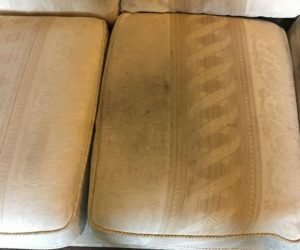 We advise getting your soft furnishings cleaned at least once a year. 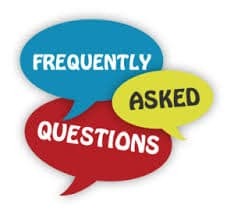 If for instance though you have small children or pets we would then advise at least once every six months to ensure that your carpets, upholstery and soft furnishings stay looking there best all year round and hygienic! Commercial clients in the area are very welcome, we have the machinery & industry knowledge to carry out your requirements to the highest standards, trained tried trusted & insured…Feel free to get in touch today for a no-obligation free quote. 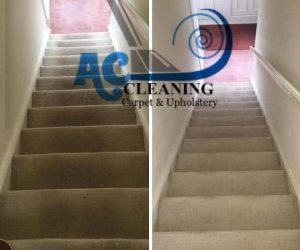 Why choose AC Carpet & Upholstery Cleaning? 100% quality work is guaranteed or we will come back free of charge and do it again! We provide assisted drying equipment for your carpet and upholstery. We’ll arrive on time, looking professional & smart, we will always inform you if we’re held up in for any reason. As an independent company, and NOT a franchise, we’re free to select from any one of the four leading systems we use to clean carpets & soft furnishings. We’re fully insured on treatment risks and public liability basis. We offer a personal service and pride ourselves on attention to detail and excellent customer aftercare. Don’t settle for standard work or services that deserve to be nothing more than excellent this is your home and we treat it like our own with complete respect and just how we would like our home be treated & left! Home is where the heart is and hub for precious family time, we understand this more than anything so we want the standard of work performed to the possible highest standards of our ability and that’s our promise! 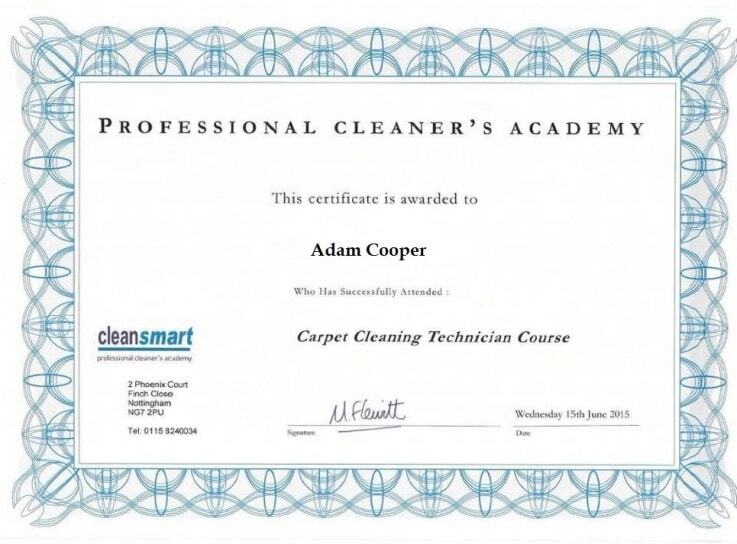 Below is an introductory video of process and methods we use in carpet and upholstery cleaning. 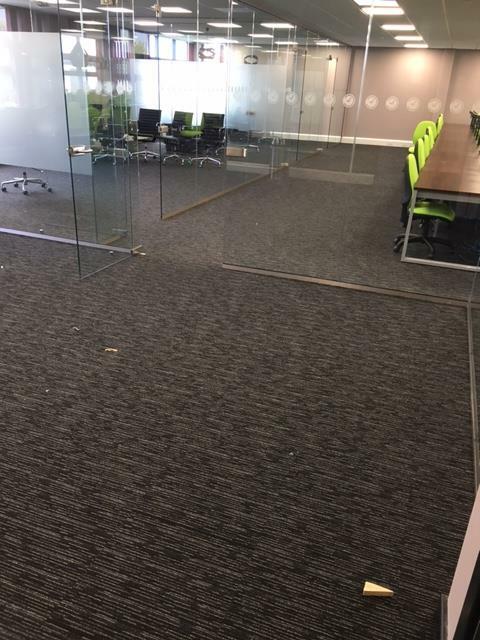 We are very serious and accomplished in delivering results and versatile to work around your business hours, we are using the latest machinery in big area commercial carpet cleaning that can deliver fast and outstanding results allowing your company to operate as usual. 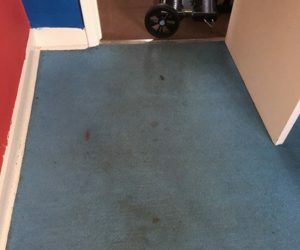 Below are some of the commercial clients and schools & nurseries across the area we have previously cleaned for..
Everyone who has chatted with me about when they have hired a rug doctor or an equivalent have said they were disappointed with the results, surprised by how long it took and the hassle of hiring and the overall costs were not worth it and would never again. When you get it home finally from the busy complex in or around Stoke-on-Trent or Newcastle-under-Lyme you will probably clear the rooms your planning to carpet clean, then your ready to get started one thing I do know you’re in for a long day! 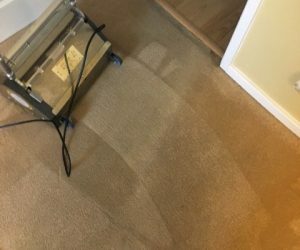 To get the best out of these low-performance carpet cleaning machines you really do need to go slow and steady… The water pump on board is a low psi so will flow the water out slowly and then the downside with these machines is the vacuum recovery, these machines really do not pull much of the water back out of your carpet’s. Keeping clean carpets has significant health benefits, especially in homes with young children. You must remember that this variety of flooring is similar to a sponge. It will collect and absorb an array of soils over time and hold them deep within the fibers until safely extracted. With every step tenants, homeowners agitate the fibers and kick loose soil particles into the air. Dust, food, pet fur, chemical residues, and microorganisms are just some of the soils that can become airborne this way, and all can be a breathing hazard. This is actually one of the leading factors to why the air quality is not as pure as outside your home. Why is it more important when having children? While airborne particles can affect anyone, children are usually the most at risk. Partly due to young children spend a lot of time on the floor or close, and because their immune system is not as developed or strong as an adult’s. Breathing problems, like asthma, can be triggered by poor air quality in the home, which is why some parents mention to improved health in their children following a good thorough clean. Molds are probably the biggest risk in most buildings hygiene across stoke-on-trent & Newcastle-under-lyme, they can be spawned by exposing the carpet and underlay to moisture, usually for a day or two. Molds, like other sediments, can inflame breathing problems like asthma, but fungi can be more aggressive in this way. That’s due to the mold releasing spores airborne that are unavoidably inhaled. In some research cases that were proven, mold exposure to young children has been linked to their developmental and behavioral issues as well, so if the carpets in the home haven’t been cleaned in a long time, then you should consider this. You may consider renting equipment but as mentioned above, DIY equipment tends to be much less effective than advanced equipment available to a trained professional. And without the correct training and knowledge, you may do more harm than good. 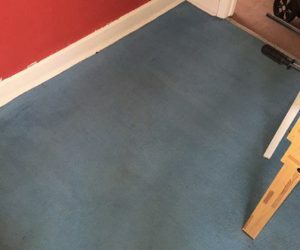 For instance, if too much water is left in the carpet during the hot water extraction stage, it can provide a breeding ground for molds and other microbes to manifest and if the cleaning solution is not extracted fully and rinsed it can speed up the rate at which the carpets can become dirty again due to soapy residues becoming sticky. How long will the carpets or upholstery take to dry? Depending on which cleaning method is used carpets take from 30 minutes to 2 hours to fully dry with the use of driers to help it along. 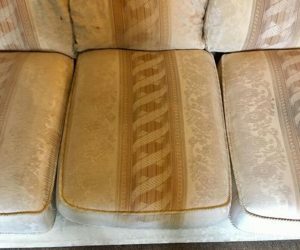 Upholstery furniture tend to be longer with times between 2 – 4 hours! Again driers will be used for a period. We are fairly competitive with our prices for which we stand apart with our intensive training and insurance to cover your property and carpets or furnishings we are working on. We use the latest and most advanced equipment on the market plus top of the range safe eco cleaning products to ensure most thorough clean possible. Do I need to empty the rooms? Do you offer stain guarding? Vacuum regularly! at least twice a day and thoroughly at least once going north to south & east to west strokes, if you have pets & children you may need to get that vacuum out a few more times. Leave your shoe’s at the door or in the hallway, you will naturally wear in a traffic lane in your carpet over time but with your shoes on it will happen a lot quicker. Encourage family mealtime at the table this will save your carpet from food and drink spillages and children wiping grubby hands on furniture and the carpets. If you have pets try to get into a routine of wiping their paws after walks or been let into the garden. In the event of a spillage, remember to absorb as much of the moisture or liquid possible before blotting with cold water and then soaking up again, refrain from scrubbing in most cases this will lock the stain into the fibers. 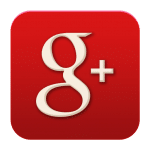 Search the website and multiple pages we have to see our recommendations, previous carpet & upholstery cleaning jobs undertaken via the youtube channel or facebook link, also we have a case studies page of specialist stain removals and odor removal. Showing our full capabilities in achieving the desired results for each of our customers.